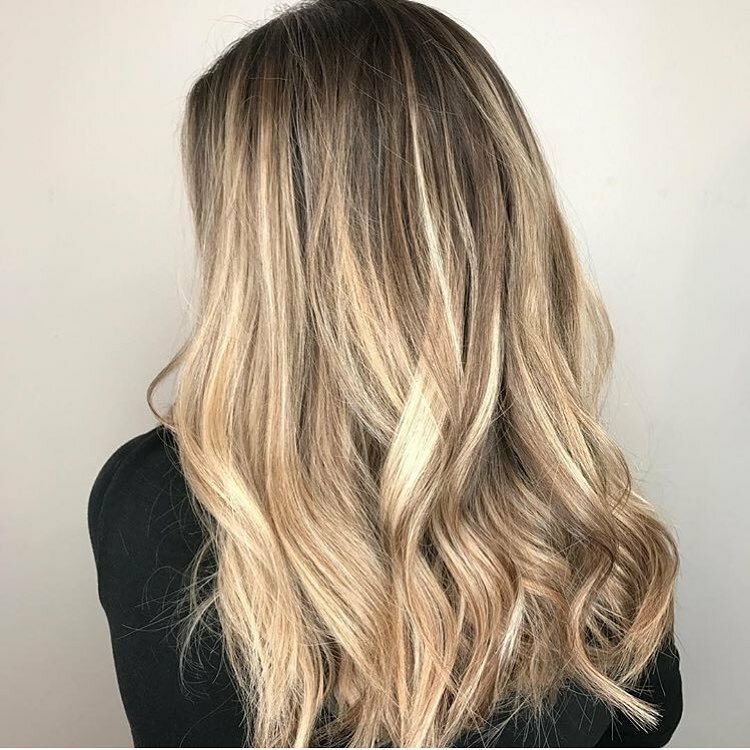 As we move into Spring, the weather changes and flowers start to bloom - we start to see new hair color trends emerge in the salon as well. 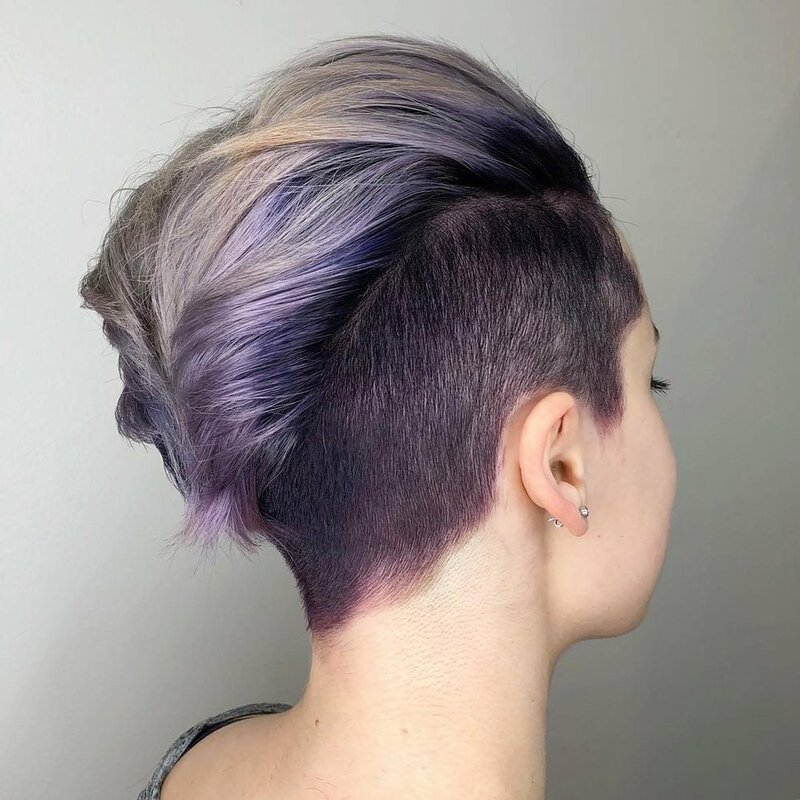 From low-maintenance hair color that still makes a statement to bold and vibrant violet - these are some of the most popular hair color trends at the moment. 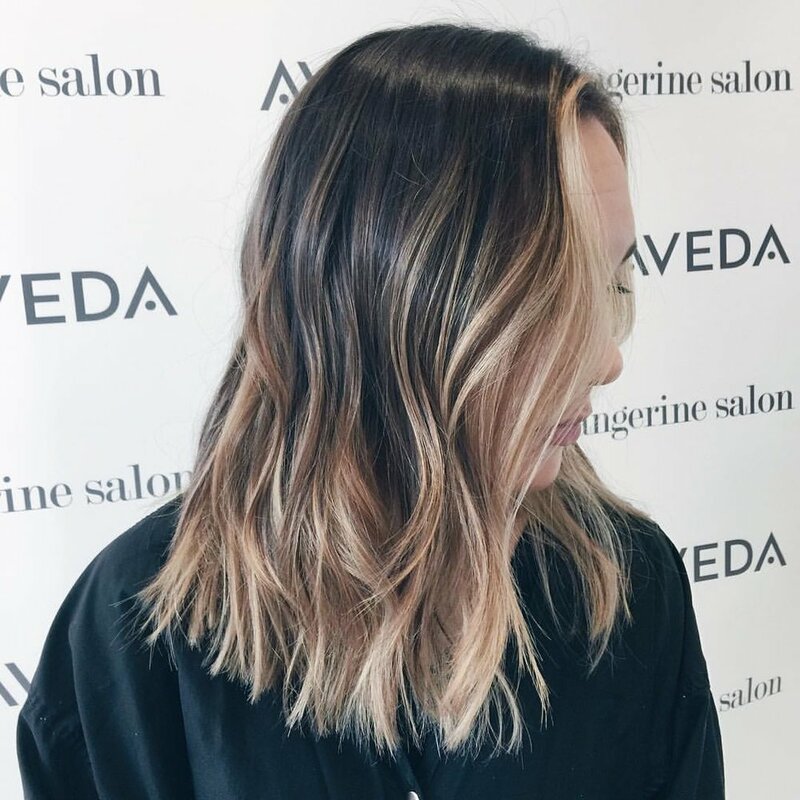 When it comes to Balayage, it's all about the "money piece". 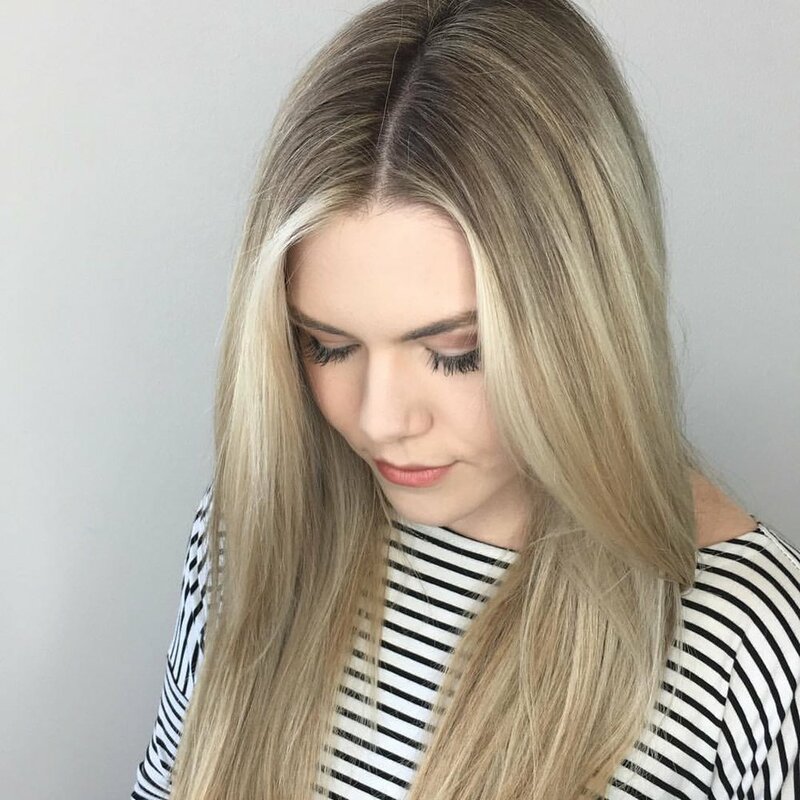 This term relates to face framing highlights that create brightness around the face and result in a contoured look. This gives a natural looking sun-kissed glow that will have people asking how your beach vacation was! 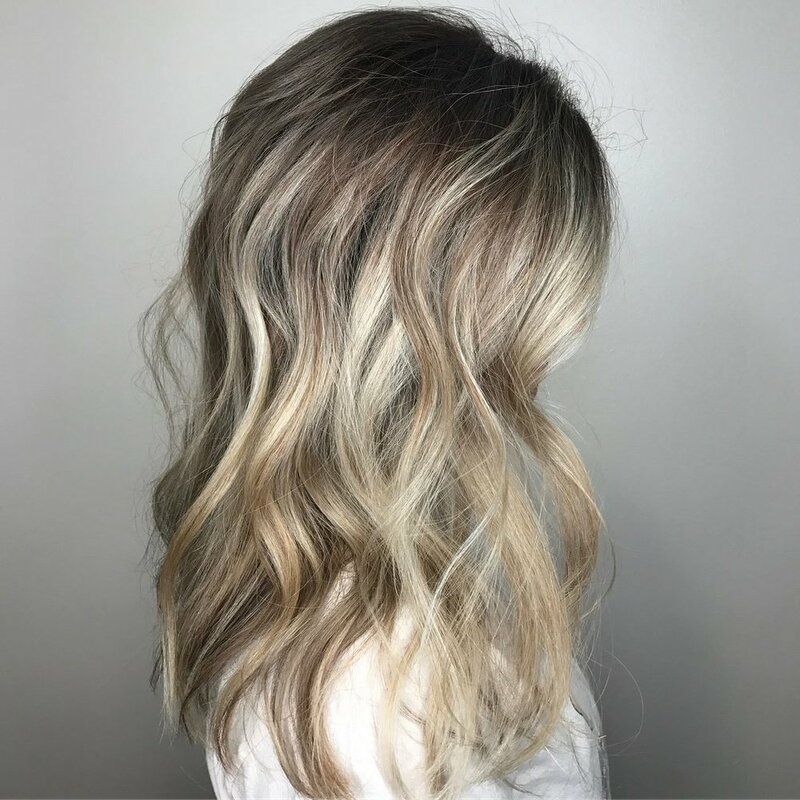 Your stylist will often achieve this look by adding "Babylights" to your Balayage service - foiling small sections of hair framing your face. 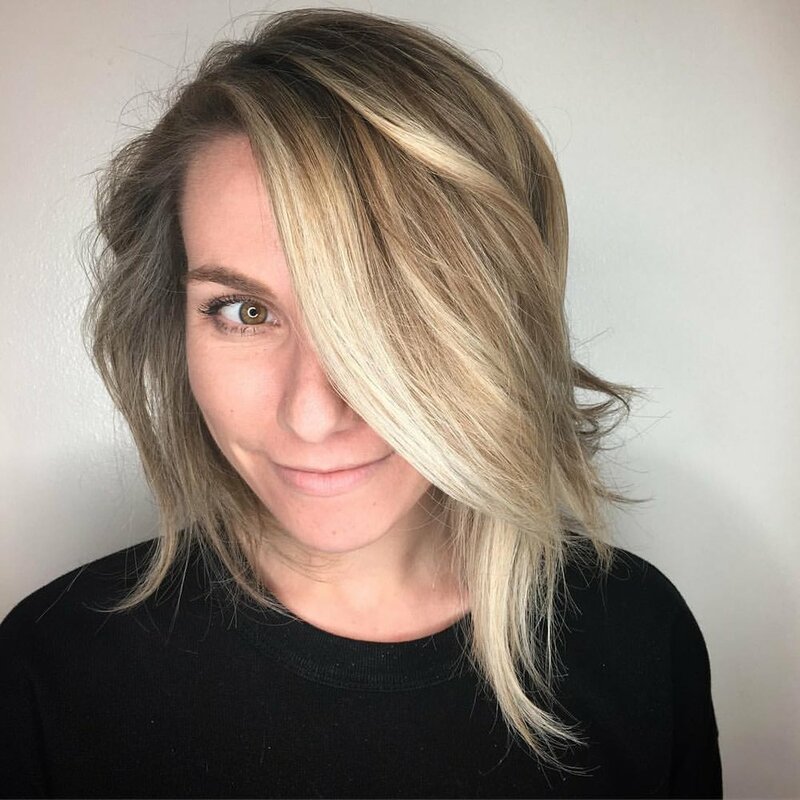 While Balayage and the "Lived-In Look" has been trending for a while now, the Shadow Root effect is fairly new. 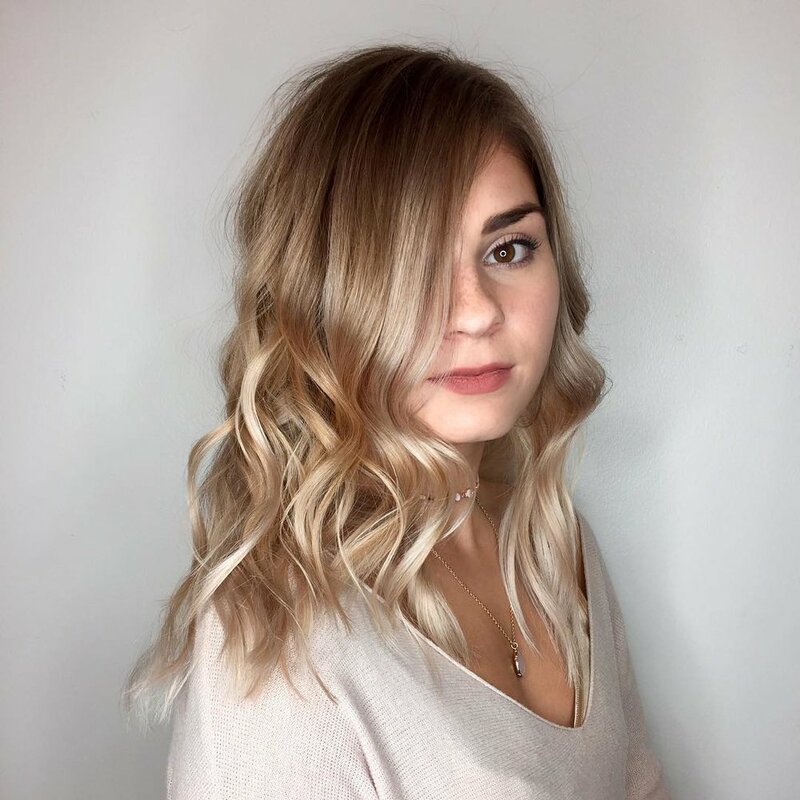 This technique allows for an even more lived-in transitional color look that is extremely low-maintanance. 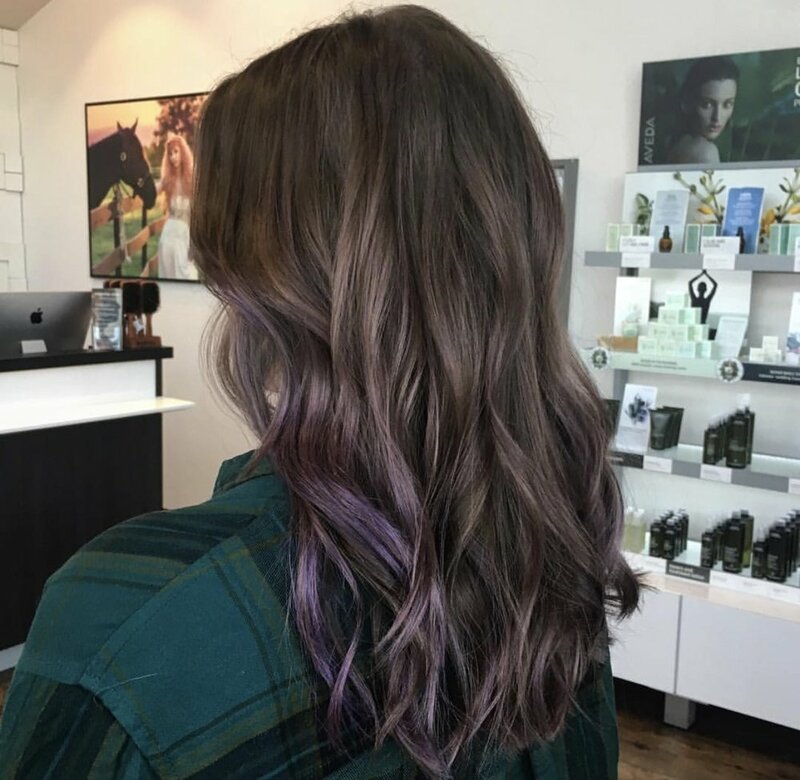 Pantone's Color of the Year is Ultra Violet and we are seeing that trend take off this year in hair color as well. 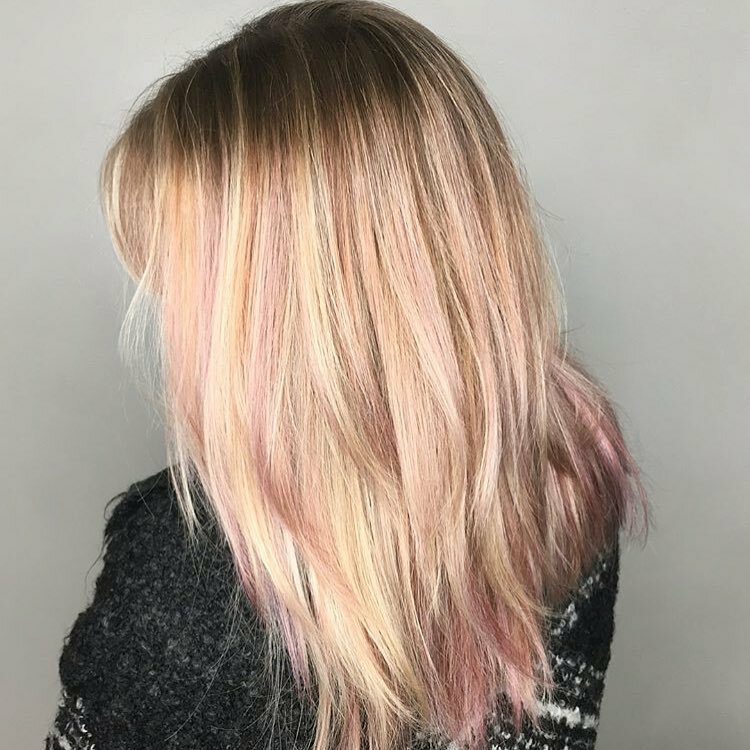 Whether it's a subtle addition on the ends of the hair or vibrant and bold all over color - we are totally on board with this fun trend! 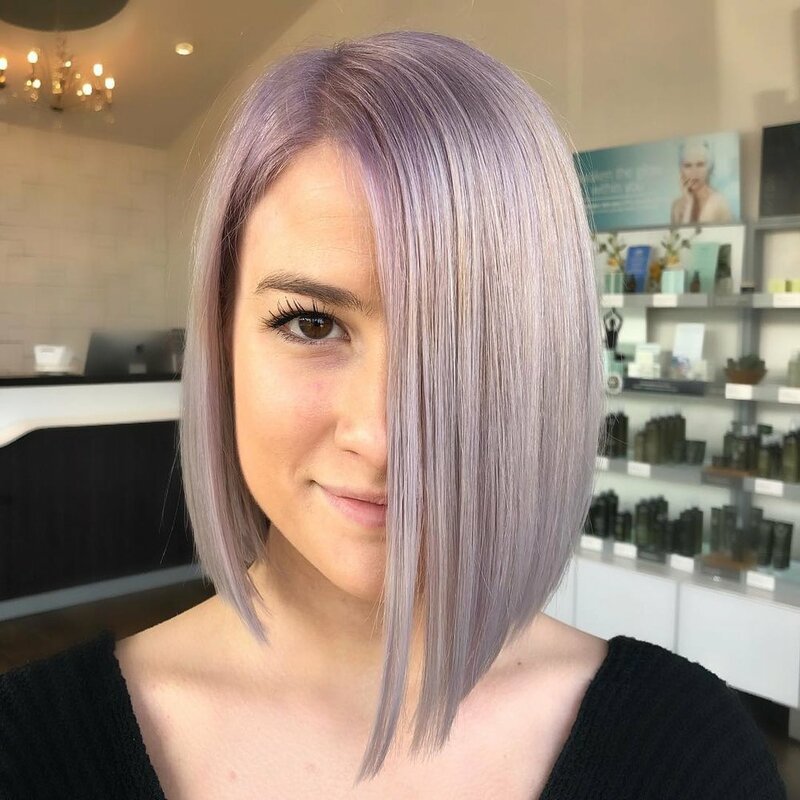 Click here to watch how we created an Ultra Violet hair color at Tangerine Salon. 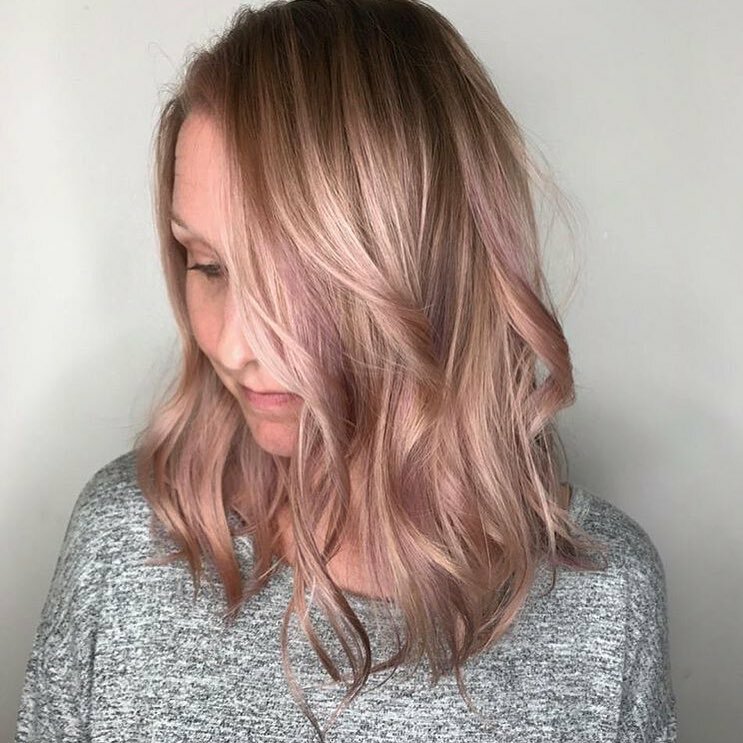 Rose Gold has been one of the top hair color trends for the past few years and it is still going strong, however, some guests are now opting for a more toned-down version that we like to call Blush Rosé.